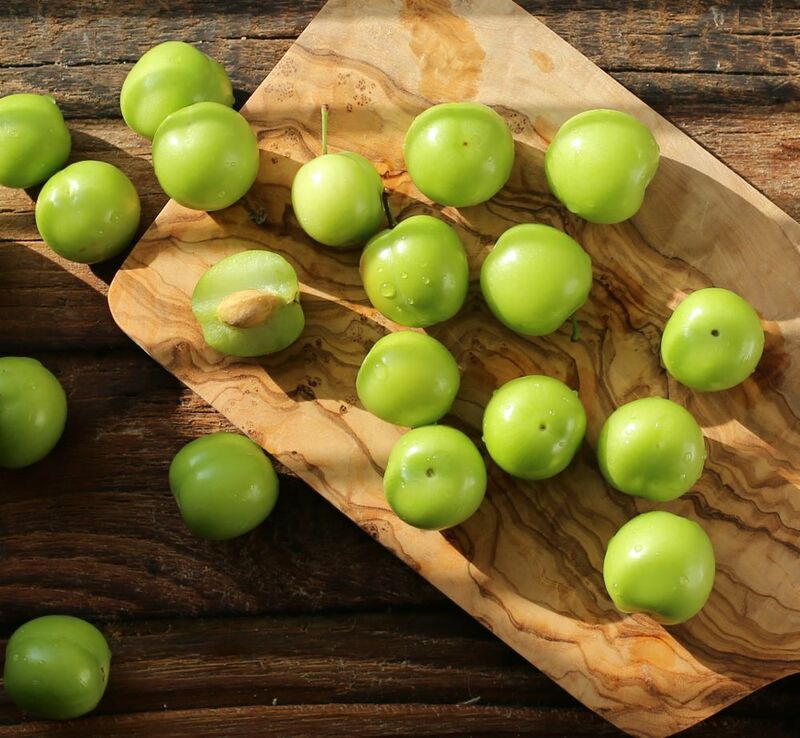 New to me, sour green plums have long been a favored springtime snack in the Middle East. Tiny (about the size of grapes), juicy, very crisp, and a bit sour, one small bite captures that green spring crunch! I took a bite and, similar to green almonds, they reminded me of an unripe, green mango—a tad tart! They’re sour because they’re picked before they have fully ripened. 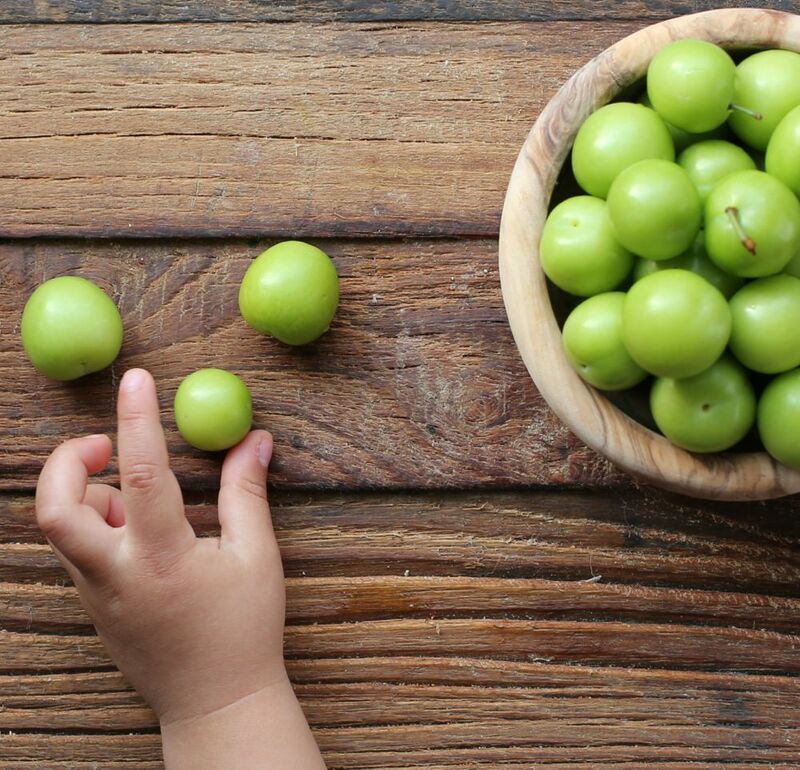 Young, sour plums are known by various names around the world—goje sabz in Iran, janerik or jarareng in Lebanon, erik in Turkey, mei in China, and ume in Japan. Although not all the same variety of plum, they can be used in similar ways. This variety, very popular in Middle Eastern communities, is much appreciated as the first fruits of spring. A Lebanese-American friend introduced them to me. 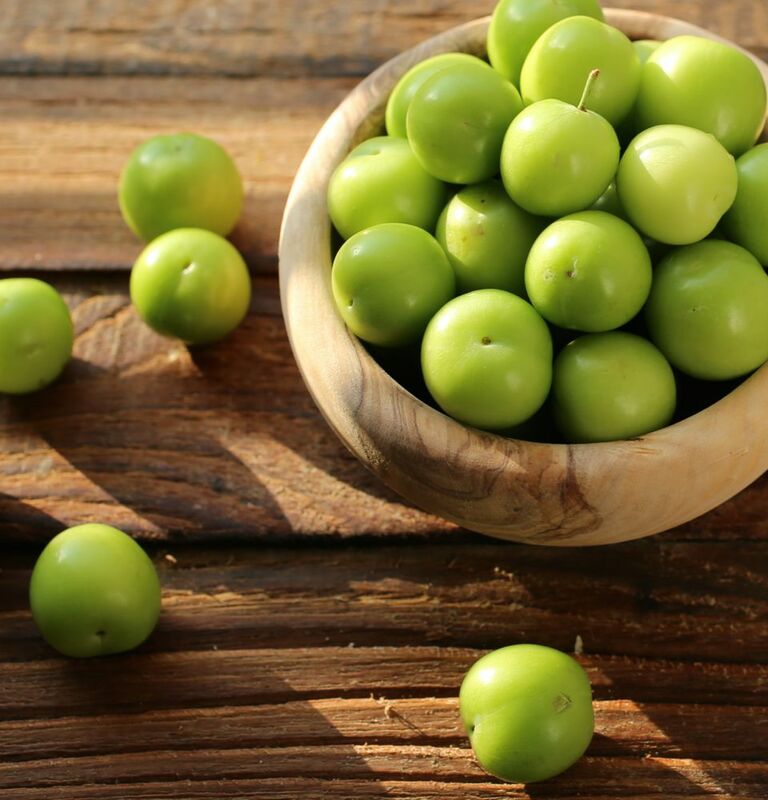 In Lebanon, they’re known as janerik, janarek or jarareng (there may be other spellings) and are a well-loved springtime treat. Tangy and refreshing, these tart and crunchy plums are best eaten fresh, sometimes with a pinch of salt. For some, the sour flavor is a refreshing way to cleanse the palate after a heavy meal. For others, they can be eaten anytime. I like them alone or dipped in a bit of salt. Crunchy, juicy, and sour, one bite had me wanting more. Like potato chips, it was hard to just eat one. To add some heat, I also tried them with a bit of red pepper (Aleppo, chili pepper, or berbere). 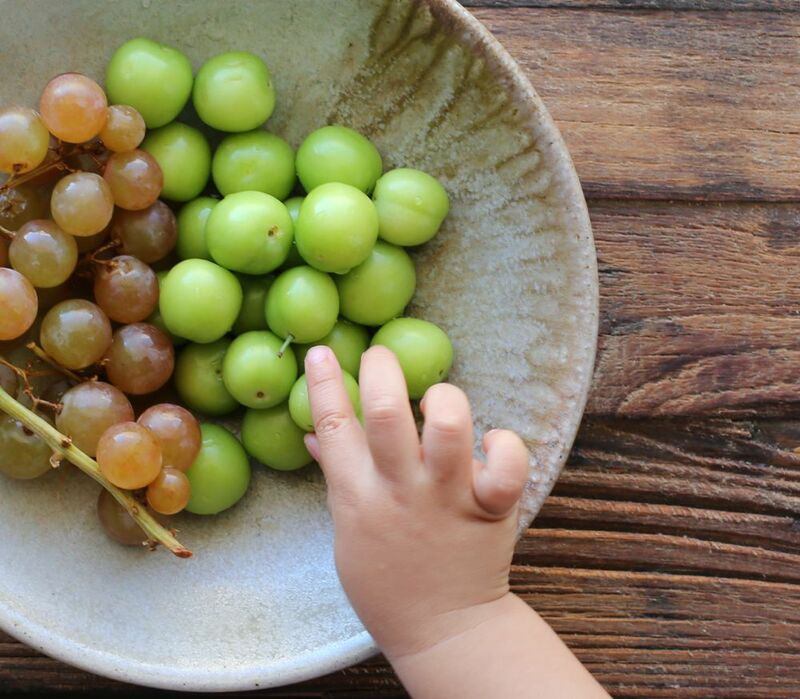 My little guy, more fascinated by their perfect size for his little hands, liked them too. 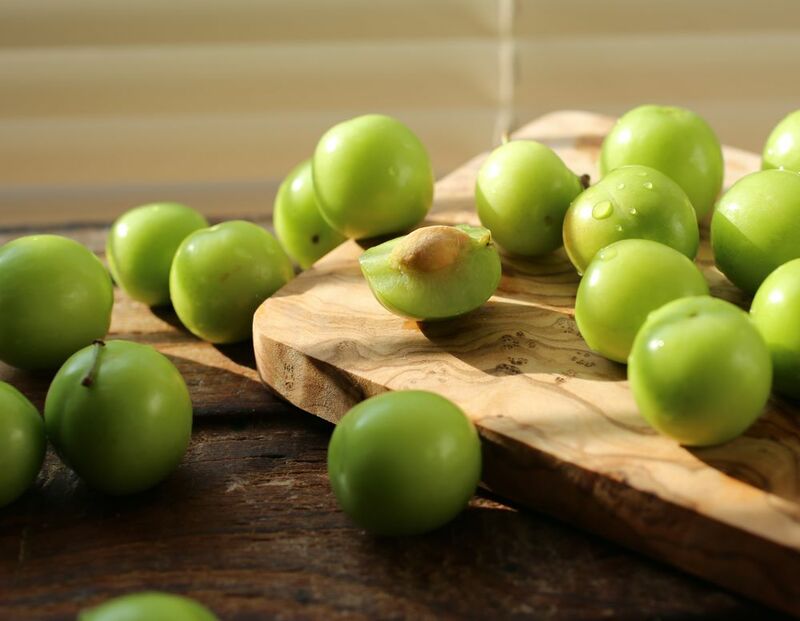 Have you tried these type of sour green plums? If not, as they are seasonal they’ll only be available for a limited time. Look out for them in Middle Eastern grocery stores. These look delicious! Thanks for the education. They look like little green cherries. They sounds delicious. I love your photographs in this post! Thank you Seana! I like your new cauliflower recipe. I’m hoping to try a similar version soon! Hi Martine, In Farsi, we call them ‘gojeh sabz’ and we eat them with salt as snacks. Very nostalgic. Hi Fae, thank you! I had read that they are called “gojeh sabz” in Iran, I should have mentioned it in my post. I’ll update it to include the various names I found. Thank about the site, I’m glad you like it! Actually, they are called green cherry plums and they are picked and eaten when they are unripe. If left on the tree they become soft and sweet, but they are rarely eaten that way. They are the most popular among Persian people. In fact, the place that they grow the most in the world is Iran. They call it Gojeh Sabz. Even some botanical gardens will list the tree as Gojeh Sabz or Persian Gojeh Sabz. It is mostly eaten as a snack with salt before food not after. March and early Spring is when they are in season. Hello, thank you for your comment. I had read that they are called Gojeh Sabz in Iran and a few other names in other countries. I’ve updated the post to include the other names. As it was a Lebanese who introduced me to these plums, I mentioned how they are called in Lebanon. I’ve also included that in my update. Thanks again! I love the little hand 🙂 Lucky little guy! Nice little article about our favorite spring fruits 🙂 Too bad they only come out once a year and for a limited time but thats what makes them soo special every year in April! Yes. They are special indeed. Thanks for your comment! I’m glad I saw this post as I’m eating my “janerik” for the season :). Your article explains the delicious little plums in a perfect way! It really is amazing to eat something so juicy and earthy while giving great nutrition. I would love for nutritionists to study this green plum further. I’m 27 and have had janerik since I was born :). Thanks for the post. i like green plums very much..thankyou for this news..